Real budgets. Real prices. Real solutions. 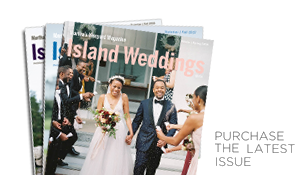 Island bride Cassandra Bettencourt knew she wanted her wedding to feature a myriad of flowers, and as a wedding planner and florist herself, she knew how to tailor her vision to make it possible. “I wanted it to be kind of ‘Martha’s Vineyard charm,’” she said, “so we did many flowers that were native to the area and a color scheme that worked with the wedding – which was purples and creams and greens. “I had a vision,” said Bettencourt, who owns CB Events and Designs, “and I had a very good idea of what the flowers would cost.” In that way, Bettencourt was an anomaly in the wedding planning world. Unlike her, most brides aren’t well versed in what they should expect to spend, or what they might get for their money. They have good reason to be confused. Like so many aspects of wedding planning, the cost of flowers can vary dramatically based on any number of factors, from the time of year you get married, to the location, to the florist you choose, to your personal preferences. Seemingly minor specifications, like whether a flower was locally sourced, can have a major impact on your bottom line. 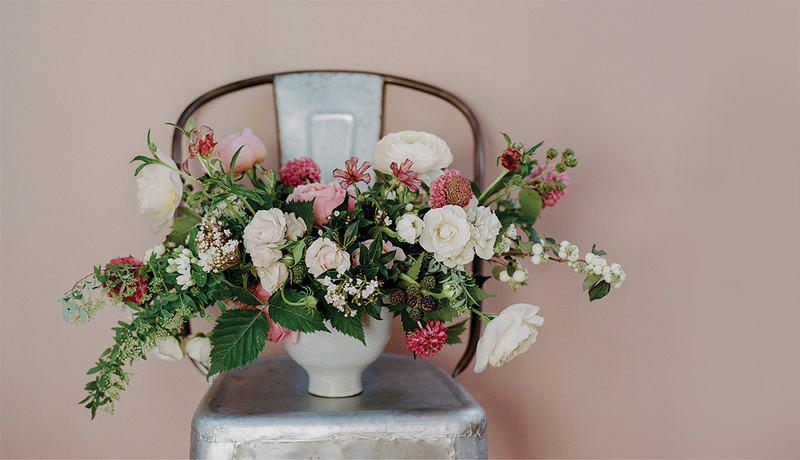 While the process can be daunting initially, florists say that setting a sensible budget and achieving the look you're after is actually easier than you might think. The first step is to figure out your overall budget, then divide it between all your major expenses, from the venue, to entertainment, to flowers, to catering. There’s no magic number for how many dollars you should spend on flowers, in other words, but there just might be a magic percentage. Historically, that percentage has been between 8 and 10 of a couple’s total wedding budget, according to national surveys from The Knot and Brides magazine. But that number may be on the rise. Coulter said she once heard that the flower portion of a wedding budget now totals about 20 percent. Once a baseline has been established, a florist will ask you to come up with an overall vision for your wedding, including colors and types of flowers or plants. It’s also a good idea to finalize a guest count and the number of bridal party attendants as soon as possible, as they can have a significant effect on the total cost. In order to bridge any gaps, a florist might suggest workarounds or substitutions, such as replacing expensive, hard-to-find flowers with local or seasonal varieties, which are often available for less. The savings from even minor tweaks could be substantial. Last but not least: if you still need to trim costs, consider prioritizing hand-held arrangements over reception décor, or vice versa. Choose whether “you want it more in the personals – the bridesmaid flowers, bridal bouquet, boutonnières – or if you want to put money into the reception tables where more people will sit and see them,” said Kennedy. When all is said and done, the outcome should be similar to your original vision, if not exactly what you had imagined. Just bear in mind that no matter how much you skimp and save or pin and hope, at the end of the day, beautiful, fresh flowers don’t come cheap. According to Coulter, the average wedding order at Morrice Florist clocks in around $7,000 – “and that would be for a wedding sized at 100 to 150 people, including a bridal bouquet and bouquets for her bridesmaids, boutonnières, flower girl flowers, ceremony décor, and just regular table arrangements. “But that would be for a very straightforward wedding,” she clarified. Add-ons would be extra, everything from herbs on the bar, to trees in rented restroom trailers, to flowers in bridesmaids’ hair. All of which leads back to the question: why do wedding flowers cost so much? The answer comes down to simple addition. There’s the cost of the flowers themselves, plus the cost of labor to receive and process them. There are delivery fees, design fees, refrigeration, and an army of experts who arrange the flowers in the hectic pre-wedding hours. There are set up fees, take down fees – really, any number of variables. And, of course, there’s the sheer scale of the order. A typical Vineyard wedding might feature one bridal bouquet, five bridesmaid bouquets, two corsages, eight boutonnières, a few flower crowns, twenty centerpieces, twelve aisle decorations, a welcome arrangement, an arbor…you get the idea. Photos by Jocelyn Filley. Flowers and styling by Morrice Florist. Furniture by Vineyard Decorators.